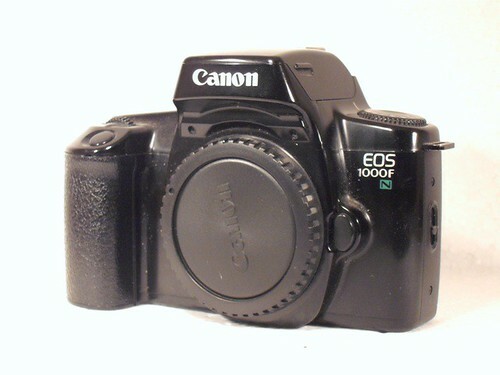 The EOS 1000N is a newer revision of the Canon EOS 1000 line of 35mm SLR cameras releases in 1992. 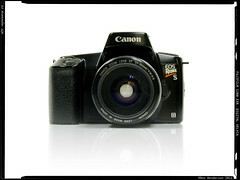 In the Americas the most basic models without flash is called EOS Rebel II. 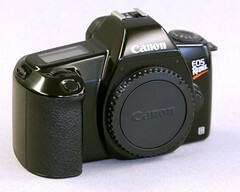 A date version is also available as the EOS Rebel II QD. The flash versions of the camera is called EOS 1000FN while the American version is called EOS Rebel S II or often written with non roman spelling as EOS Rebel S2. The flash date version is available as the EOS 1000FN QD. 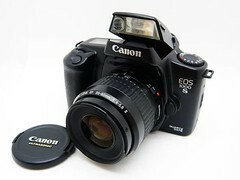 In Japan it is know as EOS 1000S QD or with a panorama option as EOS 1000S QD-P. The improvements in these models over the EOS 1000 is a new shutter capable of a faster 1/2000s. The auto focusing speed has also improved with a more accurate and quicker response. The film advance and rewind mechanization has also been changed with a significant reduction in audible noise. The mode dial also contains a setting SF: for soft focus. This feature takes 2 exposures on the same frame. The first exposure is in focus and the second soft. The soft setting can be adjusted in two steps. A strange and unusual feature is the self timer that can play four different chimes during the count down. This page was last edited on 11 October 2018, at 05:14.